Planning on adding a small pure sine wave inverter to power our bedroom TV so we do not need to run the generator at night for this. I plan to place the inverter as close to the batteries as possible and just run a small extension cord to the TV. Question is what do you do about the on /off switch. Do you really need to turn off before falling asleep or are they ok to let run for the night? If so are there remote switches. I do not have any 12volt outlets in my bedroom or entire toyhauler for that matter. I have done the same thing you are wanting to do. I have a 5th wheel and my bedroom is directly over the front pass through storage area and the battery is just forward of that. I placed the inverter in the pass through and ran an extension cord up through the floor. I can power the TV and VCR or plug in phone chargers. I don't worry about turning it off and sometimes have left it on for days. If you are dry camping, add a remote switch. If on shore power nothing to worry about. My inverter has an on/off switch on it, so I shut it off when not in use. I would check what the standby current is whatever inverter you decide to use. One brand I tried drew just shy of 6amps with nothing connected, other than it on. Took it back, same kind, same result. Took it back, found a different kind, it draws 100ma in standby. Draws 6-10 amps fully loaded, but we seldom have that much running. We leave that one on all the time, unless we are going to be gone all day. It is enough to run my wife’s CPAP and TV. I say this, as 6amps overnight is quite the draw, and can deplete your setup quickly if left on very long. I would buy an inverter than you can add a remote switch to. What size inverter are you looking for? My 5'ver has a cigarette lighter plug in the ceiling plate where the TV antenna runs into the bedroom. I have a small power inverter I bought at Home Depot for $30 that plugs into that lighter plug that I can run a TV off of. And, most TV's now have a shut-off timer in them so you can set them to shut off in a couple of hours. I bought one like this that comes with a remote switch. Perhaps a little over-kill for a TV but I've found that one always needs "MORE" as time goes on. 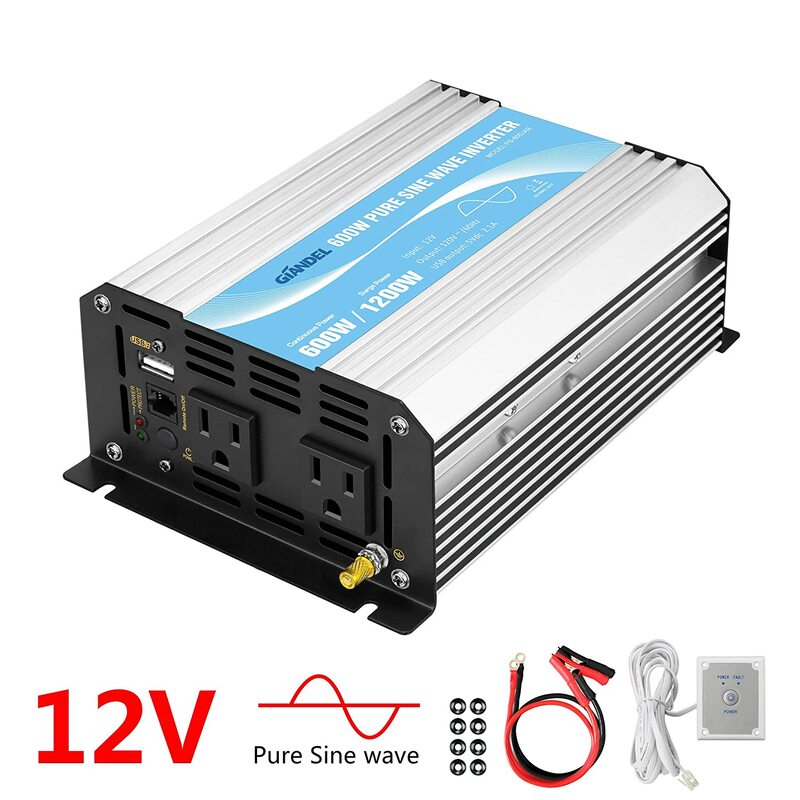 This is a Pure Sine Wave inverter and with "soft start" will handle more than a $30 MSW inverter. Don't need a C-Pap yet but probably not a bad idea to be ready for one as the years pile up. I like the plug and play ease of my $30 converter when all I want is a little TV or to run my laptop. It even has a USB plug to charge the phones and tablets.